Tea for 1 fired at 840°C (onglaze), and mug fired with new digital high temperature inglaze decals fired at 1080°C for comparison. Blue Polka Dot Cupcakes, Tea-Cup-Cake, Edwardian Tiles (new), Strawberry Cupcake (new), Teatime (new)designs, fired at 1080°C on bone china. Refurbished Elmeceram Model MAF2U Universal banding / lining machine, capable of applying 2 coloured or gold bands, at a very good price. For more information on this, please contact us. 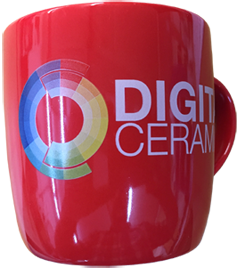 **New for 2017-8** - 4 new digital ceramic decal products! Digital high-temperature decals for firing at 1100-1300°C, giving many advantages, including greater resistance to dishwashers and abrasion. Particularly ideal for logos on hotelware. Also available are printers for printing your own digital high-temperature inglaze decals. Contact us for more information. 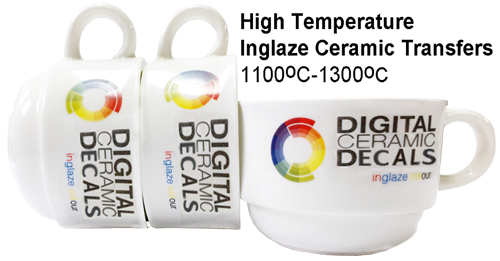 You can now decorate coloured glazes with our Digital White Ceramic Decals. The transfers are printed with a double white layer to ensure a strong opaque result. Suitable for ceramics, glass and enamelware. Digital decals for firing at 700-780°C onto enamelled steel. 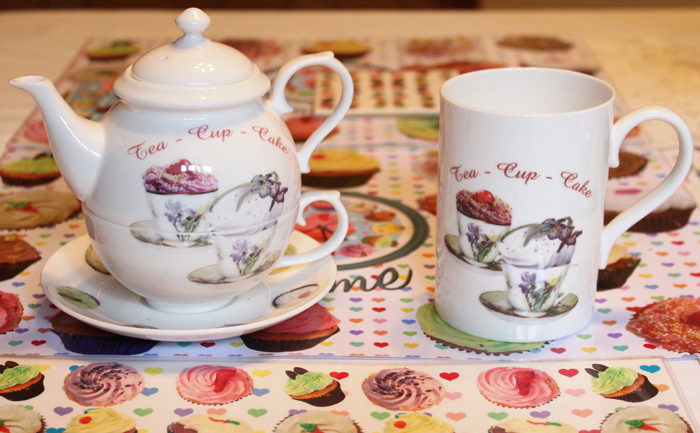 Also available are printers for printing your own digital decals for enamelware. Contact us for more information. 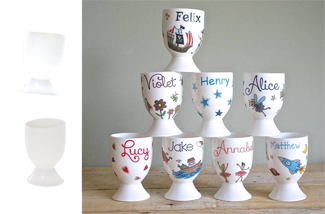 Shown here as blank white egg cups available via Eileen Hallam Ltd, and also beautifully decorated and personalised with her own digital ceramic decals by Sparkle Ceramics. She also now offers bulk quantities of organic decals for candles (no heavy metals, very wide range of colours). For more information, please contact us.